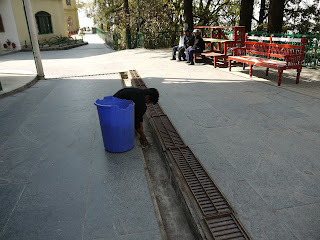 Cleaning of the gutters on campus in the area between the gate and the quad. The dry leaves are coming off the trees now and they get blown through the grate. This area is all nicely tiled with slate and grated gutters, unlike the open ditches and gravel surface of years ago. The paving crew is working its way east and is now past the school. 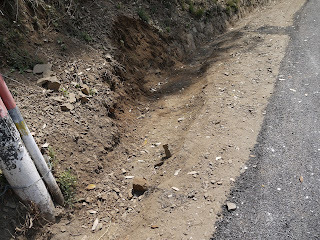 After the paving is done, workers come along and dig a ditch on the inside verge which will help with drainage in the monsoon. 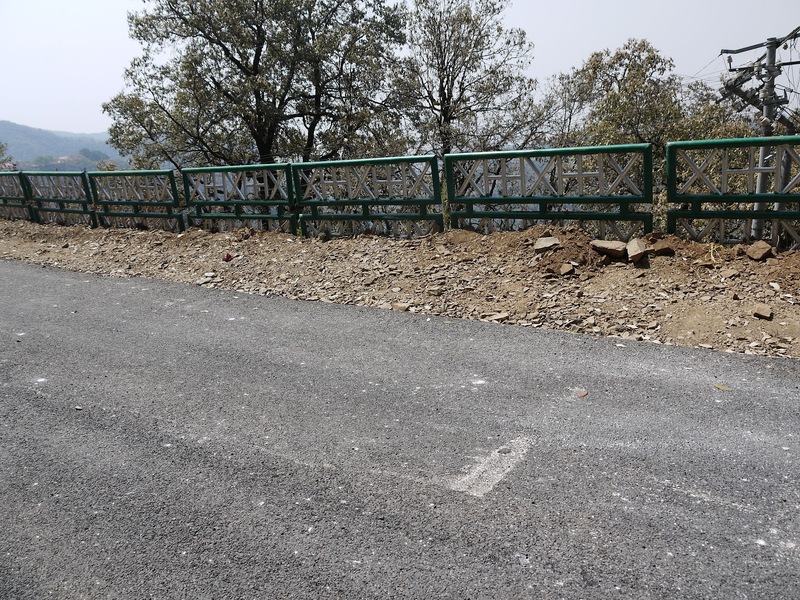 The dirt and gravel they remove is dumped onto the outside verge, building it up to the level of the new asphalt coating. 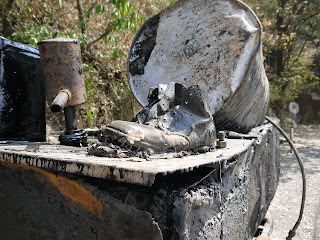 And once the work for the day is finished, the tar-man leaves his boots on the boiler!